Just over a year ago, the nation was shocked by the Sandy Hook Elementary School shooting. Twenty-six people (most of them children) were left dead in a place where everything is supposed to be safe and happy. Unfortunately, we live in a world where violence plays a role. 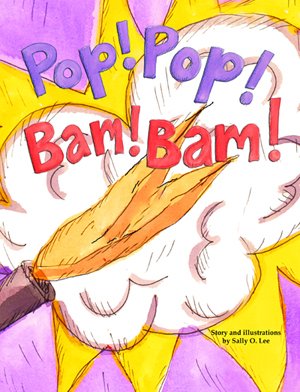 Sally O. Lee’s latest book, Pop! Pop! Bam! Bam! is the story of a school shooting as told through the eyes of a student and a teacher and how they cope as they make their way to safety. With Lee’s recognizable illustrations and her lyrical prose, the events unfold until both are safe and sound. What I feel is very important to say about this book is the calm manner in which the reader moves from beginning to end. The only portion of it that is punctuated with exclamation points is the sound of gun fire, and that only appears twice. The main focus is on the conversation between this student and the teacher. Lee also quickly moves from lockdown status (hiding under desks and then moving to a closet) to the rescue, so the protection and safety aspect of the event are a greater focal point. I applaud Lee for tackling this sensitive issue. I hope many are helped as a result. The waiting is over! Sally O. Lee has a new book out and you’ll certainly want to add it to your collection. The Carrot Kingis all about having the right perspective. A small boy becomes king after the death of his parents. He doesn’t want to be king. All he wants to do is eat his carrots and play with his toys. One afternoon, the small king stumbles upon a boy whose family is so poor all they eat are potatoes and beans. Their friendship helps the small king to see he truly enjoys his role as king. I was thrilled to receive an email from Sally telling me she has a new book out. I signed up to review it right away. I have almost every one of her books since The Cake Thief. In this charming tale of friendship, a small king learns that troubles come to everyone and it’s nice to help out a friend. Sally’s beautiful folk art type illustrations add so much to this story. I’ve always loved her attention to detail. 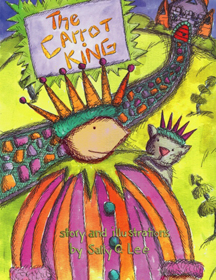 In this book, it is the king’s cat who appears on almost every page of the story. The first letter of the first word on every page is built by carrots, just like on the cover. Sally has such a unique style, it would be difficult not to know a book was hers even if you didn’t see her name on the cover. 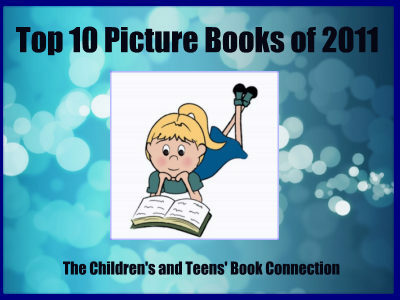 It’s no surprise that so many of Sally’s books are award-winners. She writes charming stories that kids love. I received a free paperback copy of this book from the author in exchange for my honest opinion. I received no monetary compensation for my review. Sally O. Lee is back with another creative and artistic title. Preschoolers are sure to enjoy A Cat’s Alphabet Book. Lee is the author and illustrator of over 20 books. 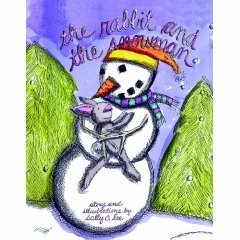 Some of my girls’ favorite books come from Lee (The Cake Thief, The Rabbit and the Snowman, The Tutu Ballet). A Cat’s Alphabet Book is a primer filled with Lee’s beautiful artwork. The friendly kitty seen on the cover appears on each page. From apple to kite, and from lemons to zebra, preschoolers will enjoy turning pages as they learn their alphabet. As an added bonus, readers are asked to find the “Lee” signature in each illustration. What fun! Toward the end there is a page that includes all the letters of the alphabet. The last page asks readers what other words they know that begin with these letters, allowing the learning to keep going after they finish the book. While this book is much too young for my girls, I am holding onto it to share with my nephew when he’s old enough. I hope little Harry will be a Sally O. Lee fan too! Sally O. Lee is back with a new book about a unique ballet that my children have asked me to read them time and again. In The Tutu Ballet, Belinda the bear, Mirabel the mouse, Harriet the hare and Fillippo the fox are ready to dance for their ballet teacher, Ms. Berry. The problem is that Ms. Berry can’t get them all to do the same steps. How will Ms. Berry put together a dance for the recital that lets everyone do their favorite things? Each story from Lee is more delightful than the last. Her charming illustrations and easy to understand stories of friendship and problem solving are sure to become favorites with your children. As with The Cake Thief and The Rabbit and the Snowman, this new book both entertains and educates. If you own one Sally O. Lee book you’ll want to own them all. I can’t wait until I open my mailbox and find another Sally O. Lee book inside! 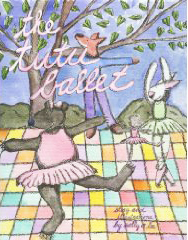 The Tutu Ballet will make a great gift for your young dancer, but any young reader will enjoy it.